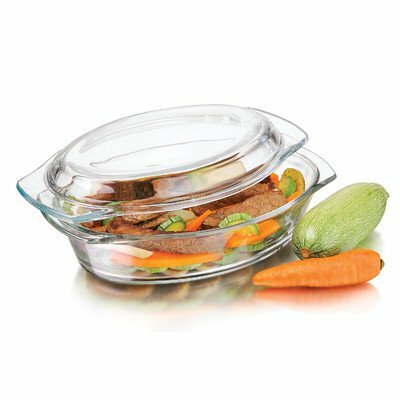 56281 Features: -Set includes 1 casserole and 1 lid. -Material: Glass. Product Type: -Baking and Roasting Dishes. Material: -Glass. Number of Items Included: -2. Color: -Clear. Dimensions: -Lid dimensions: 11.4" W x 7.1" D. Overall Height - Top to Bottom: -2.5". Overall Width - Side to Side: -9.6". Overall Depth - Front to Back: -6.5". If you have any questions about this product by Libbey, contact us by completing and submitting the form below. If you are looking for a specif part number, please include it with your message.